Minority Councillor Faith BYisrael on Tuesday called on the Tobago House of Assembly’s (THA) Executive Council, and specifically Tourism Secretary Nadine Stewart Phillips, to make public a Comprehensive Economic Impact Assessment on the Tobago jazz festival which was done last year. BYisrael, speaking Tuesday at the Minority Council’s press briefing at James Park, said it was critical that the results of this assessment be made public immediately so Tobagonians could clearly understand the impact of the event on the island and its people. “It’s almost making us believe it will not be released or we have to wait until the Executive Council do what they feel like doing before it is released,” she said, noting that money was already being spent on booking performers for the 2019 festival. The Tobago Festivals Commission, which oversees the Tobago Jazz Experience, announced on December 27 on its Facebook page that Grammy Award-winner Michael Bolton would be one of the headline acts for this year’s event. Last April, following the 2018 Tobago Jazz Experience, Chairman of the Tobago Festivals Commission, George Leacock, had announced that economist Dr Ralph Henry, Chairman of Kairi Consultants, was hired to do an assessment of the festival, for last year and the last 10 years. Leacock said then that members of the public have the right to know about the benefits of the festival. He said the Commission also needed to know in real terms the economic impact of having the festival in Tobago, not whether hotels were full nor if taxi drivers and vendors made money. He said the report was not limited to merely looking at reports and information but would involve creation of data models. On June 18, the stated deadline date for receipt of the report, Leacock said the Commission was still awaiting the report. Several subsequent efforts by Newsday Tobago to get information on the report met with no success. The THA had previously has an assessment of the 2017 festival done by Dr Keith Nurse of the Sir Arthur Lewis Institute for Social and Economic Studies, The University of the West Indies. Nurse was mandated to review, consult, research and assess the event, and conduct socio-economic research on the viability its festival, comparing it with similar events in the region. The Nurse report has also not been made public. Last year Stewart-Phillips, responding to a question from Minority Leader Watson Duke at a plenary sitting, on ticket sales for 2018, replied that the festival’s purpose was not about making a profit. 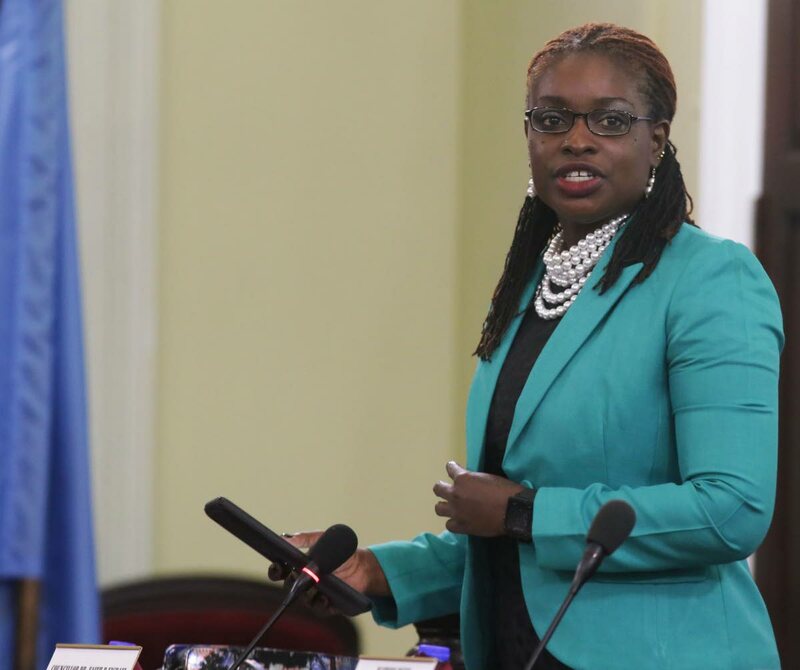 More than $4.5 million was spent on artistes including Tarrus Riley, Ne-Yo and Fantasia, for the two-day event which had a budget of $7.3 million in 2018. Stewart Phillips told the House at an October 2018 plenary that that “$104,000 was spent on Tobago based artistes, $180,864.79 on the Trinidad based artistes, $560,156 on regional artistes and $3,687,540.49 on international artistes. She said total revenue earned from ticket sales was $1,668,600. Chief Executive Officer of the Tobago Tourism Agency, Louis Lewis, in June last year, provided some details of one-week exit surveys at air and seaports leading up to the April 28-29 festival, which he said were conducted as part of the Ralph Henry assessment. Lewis said based on this segment of the report, 81 percent of persons who came to the event, said they would return in 2019. Reply to "BYisrael: Make jazz report public"